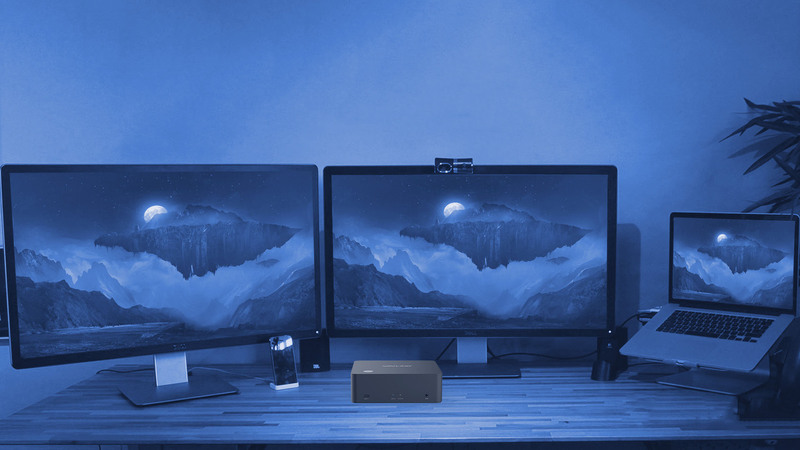 76PD1 is designed in a delicate and portable size, as a new-generation wireless dock, you’ll find it more convenient than all the other docking stations. 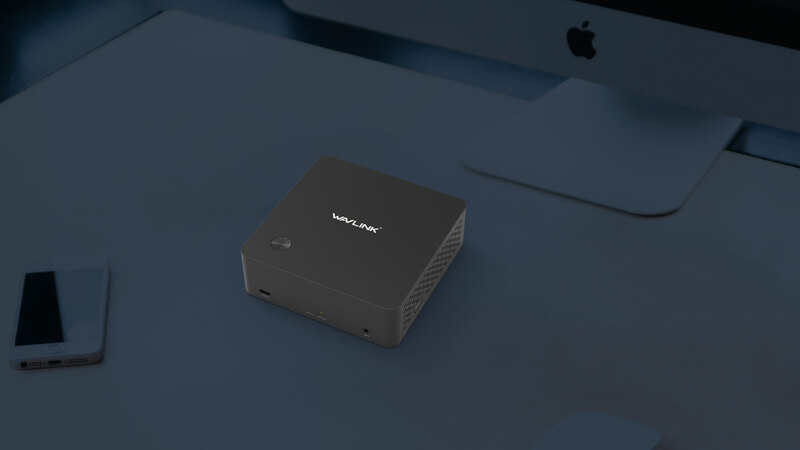 76PD1 provides you convenience and speed whether you want to transfer data via USB3.0 and USB-C ports or view videos by connecting to your monitor. 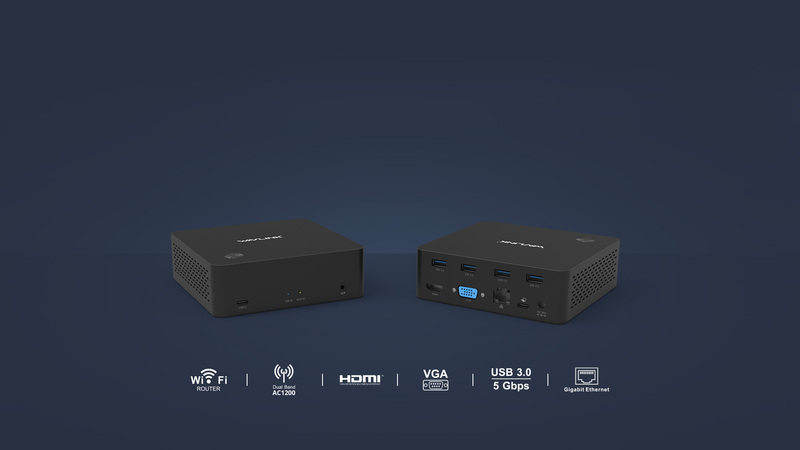 Connect 76PD1 to your monitors for reviewing videos, playing games or working on projects, it supports dual 2K high definition image, but also supports ultra 4K videos, giving you visual experience of quality. 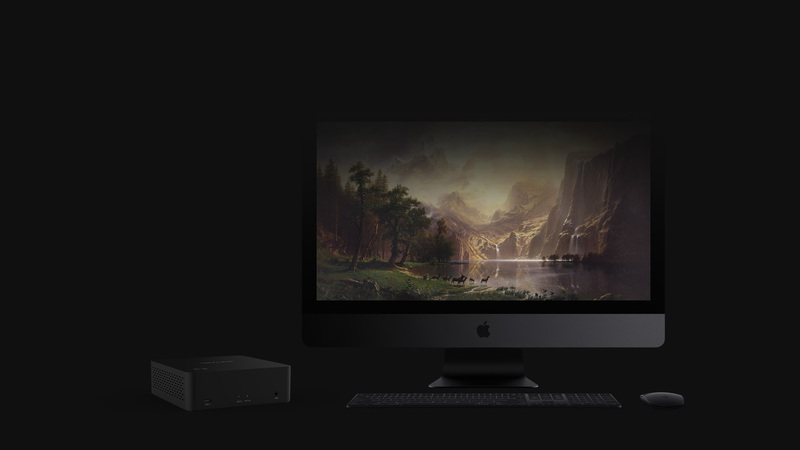 Connect upstream Type-C port (the one with a laptop icon) to laptop and then your laptop will be charged with power delivery max. at 65W while working on your projects. 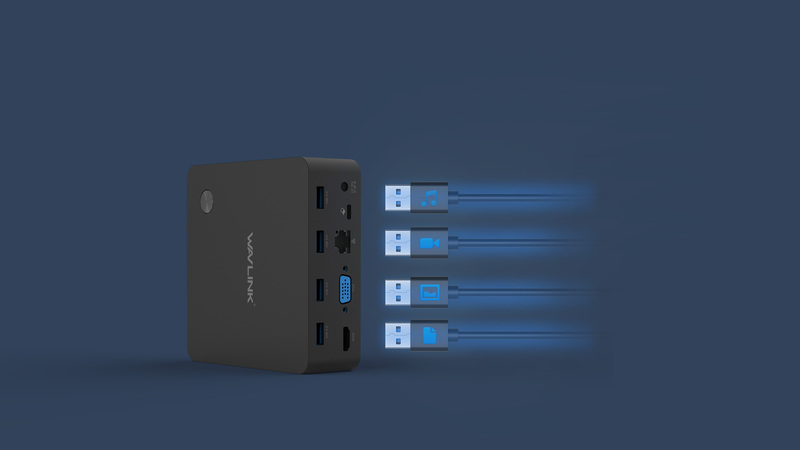 Designed with 2 types of USB ports, USB3.0 Type-A and Type-C, both types reach speed up to 5Gb/s, you can transfer your files, share and store videos fast and smoothly, making it possible to improve your work efficiency and effectiveness. 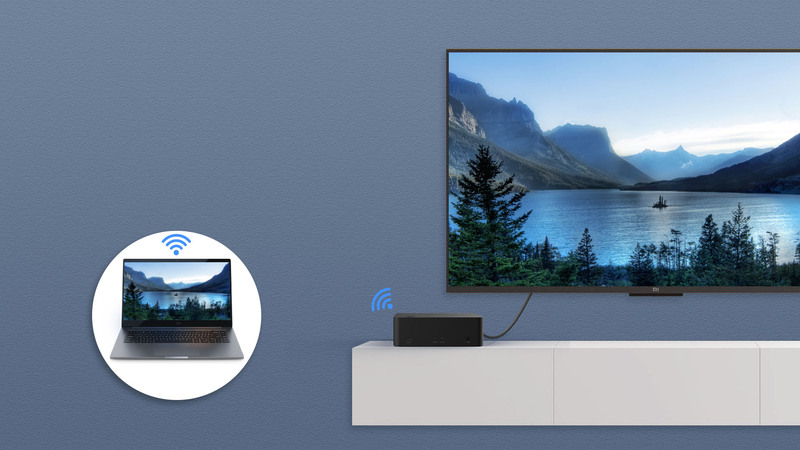 Connect 76PD1 wirelessly with your laptop and then with your monitor by cable. 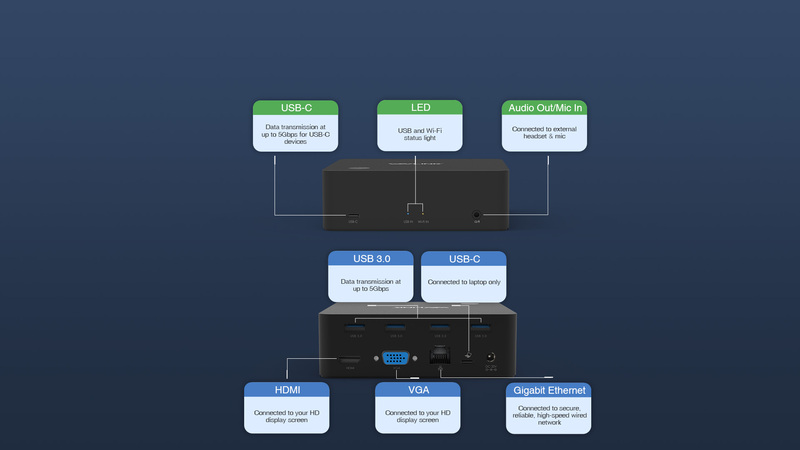 The AV source from your laptop will be reflected on your screen with high quality definition. 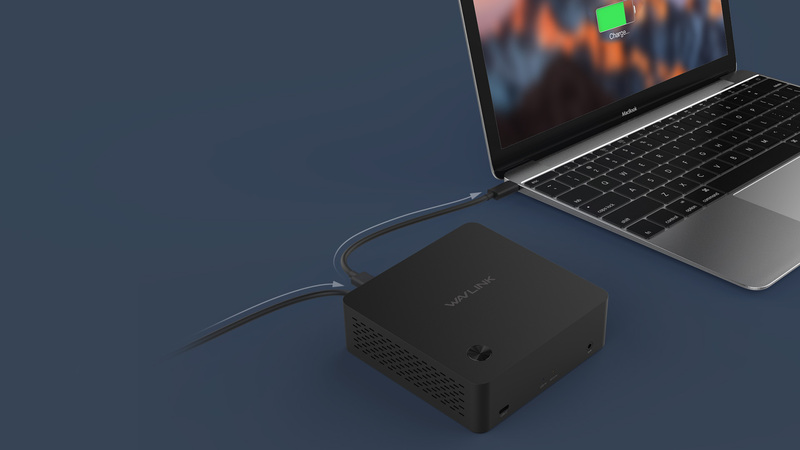 Connect 76PD1 to your laptop with a type-C cable, then you can extend videos to your monitors, transfer files at maximum 5Gbps, in the meantime, your laptop will be charged at 65W.